Some users are receiving error 0xC1900101 – 0x20004 during upgrade from Windows 7/8.1 to Windows 10 (GA). Here are a few tips and workarounds to overcome this error. The installation failed in SAFE_OS phase with an error during INSTALL_RECOVERY_ENVIRONMENT operation. INSTALL_RECOVERY_ENVIRONMENT is the environment used by Windows 10, to process a rollback to the previous Windows install, if an non recoverable error occurs. The error has been reported also during Upgrade to Windows 8.1 and indicates, that something went wrong exchanging/copying. 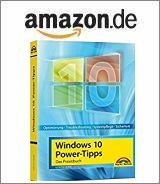 I’ve mentioned in my German Windows 10 Upgrade-Troubleshooting FAQ – Teil 1: During upgrade to Windows 10, third party system tools like AV programs, Internet Security Suites or other system tools (virtual discs) can be a show stopper. Therefore uninstall these tools before upgrading. In case of AV software, it’s mandatory to execute also a clean tool provided by AV vendors, to clean the system from filter drivers and left over installation files/settings. There has been several reports, that DVD drives and other SATA drives are conflicting with Install Recovery Environment. Here and here users are reporting, that removing SATA DVD drive and removing SATA cables from unused devices has fixed the install issue. There is a simple cause for this issue: Some main boards are using SATA controllers that doesn’t support AHCI mode – which is required during setup. In this case exchanging the SATA driver is a show stopper. The problem was my dynamic disk, windows cannot create a recovery partition on this type of disk. If the recommendations given above doesn’t help, try to process the following check list – because there has been several hints, that incompatible drivers or hardware acts as a show stopper. There has been a German MS Answers forum post from user “der Grieche” reporting, that removing “wrong” WWAN miniport entries in device manager has solved the upgrade issue. In this Technet posting an incompatible WLAN network chip was the root cause for setup conflicts. Deactivating the WLAN chip solved the issue. Here (user arik5405) reports that deinstalling all unused drivers was the cure for the upgrade issue. Remove all unused USB devices. Also an overclocked system can be the cause for clock_watch_timeout error. A User posts in MS Answers forum another solution for his problem on a HP Pavilion G6-2244ca. First he received error 0xc1900101-0x2000c. Then he decided to download the iso and getting the error 0xc1900101-0x20004 during upgrade. His solution: He downloaded all drivers and bios from HP site – completed all updates – and then did the upgrade without any issue. Another user was able to upgrade from Windows 7 after executing Windows Update-troubleshooter (click). Hope it helps to fix the issue. This entry was posted in Windows and tagged error 0xC1900101 - 0x20004, Troubleshooting, Windows 10. Bookmark the permalink. About Workaround #3 i used another solution..
i’ve converted my dinamics disks to basic using Paragon Hard Disk Manager 15 without loosing any data..
About 30 hours burned on this update but it’s finally done. Tried to install W10. After the process the screen has just come up blank. There is a brief show of windows sign and circle meaning “in progress” on startup but then nothing. Clueless! Not tech savvy at all. Error 0xC1900101-0X20003 occurs, if you have just enough free disk space to pass the compatibility check for installing Windows 10, but not enough disk space for the additional updates that are installed during setup (see) and my article below. I disconnected the SATA Cable from my DVD Drive. That’s it. I tried to update again, and it worked. I have the error 0xc1900101 – 0x30017 when trying to install Windows 10 pro 64 bits from Windows 7 Ultimate 64 bits. Can you help me?